Dietrich Bonhoeffer was a uniquely reluctant and distinctly German Lutheran revolutionary. 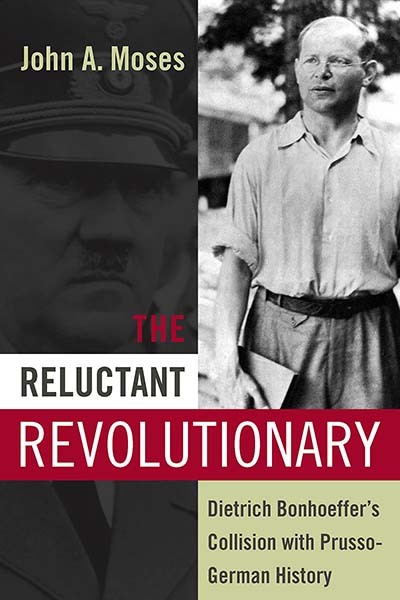 In this volume, the author, an Anglican priest and historian, argues that Bonhoeffer’s powerful critique of Germany’s moral derailment needs to be understood as the expression of a devout Lutheran Protestant. Bonhoeffer gradually recognized the ways in which the intellectual and religious traditions of his own class - the Bildungsbürgertum - were enabling Nazi evil. In response, he offered a religiously inspired call to political opposition and Christian witness—which cost him his life. The author investigates Bonhoeffer’s stance in terms of his confrontation with the legacy of Hegelianism and Neo-Rankeanism, and by highlighting Bonhoeffer’s intellectual and spiritual journey, shows how his endeavor to politicially reeducate the German people must be examined in theological terms. John A. Moses taught at the University of Queensland from 1965 to 1994. Since 2007 he has been professorial associate of St. Mark’s National Theological Institute in Canberra. His publications include The Politics of Illusion: The Fischer Controversy in German Historiography (1975), German Trade Unions From Bismarck to Hitler (1982), Trade Union Theory from Marx to Walesa (1990), and edited with Christopher Puglsey, The German Empire and Britain’s Pacific Dominions 1871–1919 (2000).